with 6" x 6 _" base, and 23" high with 6 _" x 7 _" base. 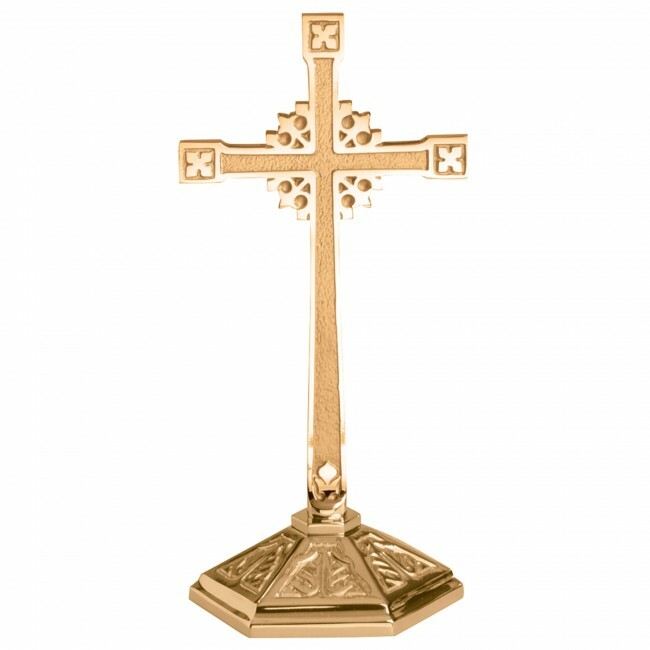 Magnificent Altar Cross made of Brass or Bronze with a Satin or High Polish Finish is available in 3 sizes; 12" high with 5"x 5 ½" base, 18" high with 6"x6 ¾" base and 23" high with 6 ½"x 7 ½" base. Please specify metal and finish when ordering. This altar cross will make a ideal gift for the church.